We have discussed SEO Trends from past on our Intense SEO GUIDE Part-1 & Part-2. But how can once achieve top ranking in SERP? What does it take to impress search engines to take you in top five ranking? Especially search engines like Google, Yahoo or Bing. In today's post, we will be looking out some important factors need to be considered while you build your website and while you create your content so that you can be assured that search engines will actually help you in your struggle to survive in the world of Internet. There are numerous SEO benefits of providing best user experience. You can attain this by presenting an easy navigation, easy to search experience with perfectly relevant links, blogs, products, infographics, etc. Such experiences make your visitor happy and ready to explore your site in depth. And will also be willing to return to your site. As search engines want to provide best search experience to their users by providing the relevant source of information on their searches, Search engines require every website to have most relevant content. As relevance is an important factor in ranking now it's important that each web page has a relevent content on the topic being written about. Search engines provide results based on their algorithm and factors like searchers location, keywords used, search history, time & day, etc plays important role in the process. While google keeps on updating its algorithm currently what google focus most upon is the quality of content. Google is faster moving towards the quality of content to provide more relevance to its users and is faster moving towards long-form contents which make content relevant for users need. So now finally bloggers and website owners should stop writing contents based solely on keywords. Speed quickly your page opens is most important factor for user experience and is sooner becoming an important factor for Search Engine Optimization. AMS i.e. Accelerated Mobile Search is also an aspect to be considered while creating site structure and content. Must Read: Intense SEO Guide by Ethical Hackers Club - Part 2. Internet users are sooner migrating to mobile devices from desktop to laptops. More search results are generated largely from mobile devices & smartphones. So it's most important that your site is optimized to fit for its best experience on any screen size. Have a look at Google's Mobile SEO Overview Here. Internal links have always been highest trust signs for google. We have seen before how good navigation can help your visitors in having a friendly and easy experience to your site but having internal links help you in boosting your traffic by providing interlinked contents in your own sites. Internal Links provides your reader with more relevent contents from your site to read. Internal Links help in increasing your traffic for specific keywords. It makes crawling and indexing easy for search engines. I've seen many bloggers uploading great graphics to their website but I've even noticed they generally forget google bot's don't have human eyes to see pictures no matter how attractive they are. However, they can read Alt tags to understand your graphic content. You can do the same by adding captions to your images. If all is set well you would find your image listed in Google's Image Search. Makes it easy to reach your customers. Now that you know the importance of Search Engine Optimization, I suppose you're ready to go ahead with with improvements in your sites SEO. So let's get started now. As we have previously described SEO is most essential for every website. SEO is the part on which growth of any website depends. While setting up an SEO strategy can involve in the complex restructuring of your site with and SEO expert or Consultant, there are few basic steps you can take to increase your website traffic. So let's go in depth with our Actual Intense Guide to SEO. All required is some effort from your side, let's find out what? When-every you are planning to reach a specific destination first thing is you should know your current location, this makes it clear what is the distance remaining to reach the destination. Same is with SEO, if you don't know your current location in SERP all your efforts will go useless. There are few resources which can help you in doing this. MarketingVox helps you keep a track on your ranking with tools like Google toolbar & Alexa. Keep track of your referrer logo so you know where your traffic is coming from & what are the keywords being used. Proper placement of keywords is an important factor. Be cautious about your title on the way visitors would type them in the search. Remember about important positions to place your keywords. Flooding your site with the keyword is going to be worst if search engines label you as a spammer. So don't overstuff your site with keywords, this will make search bots ignore your website. It's very important to be cunning in choosing location of keywords on your page. Most basic step to generate traffic for different pages on the site is by adding relevant internal links to boost traffic into individual page. While creating new contents make it a habit of linking back words or phrases to differnet articles of your site. The more relevent words are pointing to a page, the more that page is likely to appear in search engine results. Keep your linking efforts user friendly by avoiding excessive linking. SiteMap makes it easy for spiders to crawl & Search your site. Site map is a list of pages linking all the other individual pages on your site. 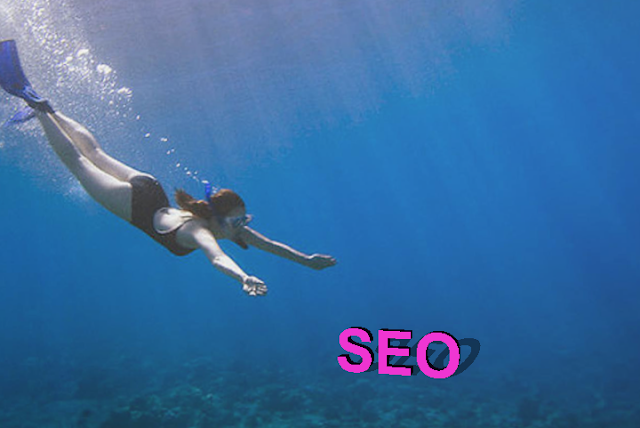 As flashlights are bad for your eyes equally Flash can really be bad for your site's SEO. AJAX, frames & Flash all share the same problem they can't be linked to a single page. Avoid flash wherever possible. After the Hummingbird algorithm update by Google, it is the primary requirement that content is relevant, engaging, informative and fresh. Following this rules is going to enhance your web traffic. Integrating a blog is the best way to get fresh traffic.Updating your contents regularly is going to enhance your web traffic.